You are here: Home / Notes 101 / Selling Mortgage Notes – Mortgage Donation Or Write Off? Someone wants to sell their mortgage note but they haven’t received payments for a year, are in second position, or facing foreclosure. They need help but what can be done? Here is an option for non performing mortgage notes you might not have heard about…donating to charity. Our guest author works with a non profit organization with a unique solution to defaulted notes. Selling Mortgage Notes – Is a Mortgage Donation Better Than a Write Off? What do you do with a mortgage, promissory note or deed of trust when the debtor stops paying? After the probabilities of payment in full and resell at a discount are exhausted – is it worthless? What if the property is worth less than the 1st mortgage? What if you’ve heard that the bank is foreclosing on their 1st? What’s going to happen to you? 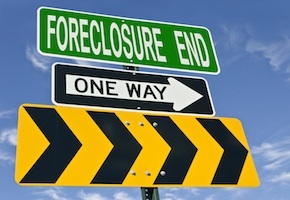 In a foreclosure, the 1st mortgage always bids the face amount. That way if someone else wants the property they have to bid and pay at least $1 more to get the property. The result is the winning bidder must pay the 1st mortgage off in full first. If the property is worth less than the market value to sell it, that’s a guaranteed loss. If you can’t sell the property for more than the 1st mortgage, you lose. You only have two choices: throw it away or write it off as a bad debt on your taxes. It’s too bad you didn’t take advantage of donating it before the final date of the foreclosure. You could have had another choice. Before the final date (or anytime you decide it’s worthless) donating your mortgage gives you a very valuable option. That choice is “TIME”. The difference between the two is the time it takes to complete it. The IRS limits you to $3,000 per year until the total is written off. Each year’s tax refund is based on that year’s tax bracket which can change. The key is you can take the entire loss amount but you may have to do it over 20+ years (i.e. a $60,000 mortgage will take 20 years). For additional information visit IRS.gov to download publication. The IRS limits your deduction to 30% to 50% of your Adjusted Gross Income (ADI). However, the IRS may limit you to the appraised value of what similar mortgages are selling for. If your mortgage note is worthless and you donate it, an appraiser can only go on actual sales of other mortgages. You don ‘t have to tell the appraiser it’s worthless and uncollectible. All you have to do is give him a copy of the mortgage and tell him to find his own comps. That appraisal is what the IRS may ask for. Without that the IRS will let you take a $10,000 deduction without any questions asked (just make sure you keep a copy of the mortgage). If all you take is the $10,000 deduction, as a write off it will take you 4 years to complete it. As a donation you should be able to do it in 1 year. The tax return is the same. Only the time is different. However, that $60,000 mortgage may be appraised at $45,000. If your ADI is $50,000 your tax refund can be 2 to 3 years. The tax refund difference is between $1,500 to $12,500 (25% tax bracket) or $900 to $7,500 (15% tax bracket) in the first two years. It will end up being between 3 years versus 15 years. How much is the vastly shortened time frame worth to you? One more risk is that if a charity ends up selling the mortgage to someone else for any amount ($100 just to get cash for it) within 3 years of the donation, you will have to file an amended return and pay back the excess refund you got. That 3 year window voids the appraisal. As for the charity, why would they keep something that they can’t collect on? Make sure you know how the charity will handle the mortgage note, especially if there is currently minimal value on it’s income. Community Health Training, Inc. is one charity that accepts almost all mortgages regardless of value and will hold them for the 3 year IRS time limit. They charge a fee to service the donation, but it is still worth extra cash in your pocket versus a long term loss. They will not accept any funds from you. They only work through licensed escrow companies. In other words, you pay the fee to the escrow company. That escrow company makes sure all the proper documents are filed and only releases the money when the “deed is done” (sorry for the pun). If it’s not completed, they return the money to you. My name is Suzana Daniels. I am a content writer and I want to guest post an article on finance for your site (noteinvestor .com). I have contributed many articles for numerous related websites. My article will be more than 500 words, informative, unique and it will be published only on your blog. I will send my article as an attachment in .txt file or in the word format. Hope you would like my proposal and will give me an opportunity for the same.